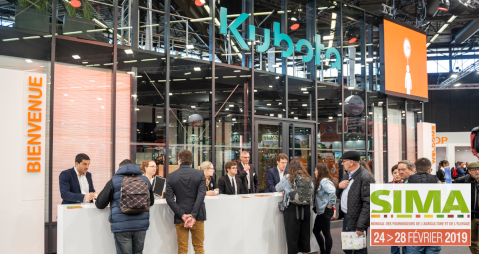 Within the framework of Kubota’s ongoing growth in Europe, Kubota Corporation has announced that it will invest € 55 million in a new R&D Center in Europe. The new site will be located in Crépy-en-Valois, France and will be fully operational in 2020. Europe and will now invest in a brand-new R&D Center that will be the Competence Center of Engineering for agricultural tractor markets, and the base for Kubota’s research activities for tractors in Europe region. 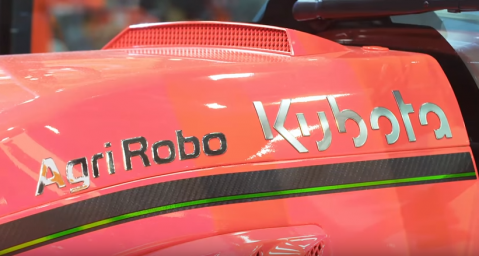 By establishing a best in class R&D Center in Europe, embedding up to date engineering and validation tools, Kubota will develop cutting edge technology for their new models to meet the specific requirements of European farmers while keeping the Group’s DNA: reliability, ease of use and best cost of ownership. As part of Kubota’s globalization process, Kubota Corporation intends to boost its product development, in line with its aspirations to adapt to the specific needs of its host markets. The new center plays a vital role in this process, so Kubota will further develop agricultural machinery that is customised to work efficiently and effectively for local crops, field conditions and work processes. Kubota, already present in more than 110 countries worldwide, aims to continue growing internationally, and this latest investment will accelerate this expansion and growth. Since Kubota Holding Europe B.V. was launched in 2017, the company has reinforced its corporate identity in Europe, with employees synchronising processes and procedures so that there is a consistent approach to how all our business units work and can provide the best services and products for its dealers and end user customers. Kubota’s tractor sales continued to grow in Europe during 2017 and its products have received prestigious recognitions and awards in Europe, including the FIMA TECHNICAL NOVELTY Award for the Agri Robo autonomous tractor, and the TRACTOR DE ESPAÑA Award in the ‘Specialty Tractor’ category for the M5101 Narrow Advance Cab model. Kubota Corporation has been a leading manufacturer of agricultural, turf, hay and construction equipment and Industrial Engines since 1890. With world Headquarters in Osaka Japan, and offices in more than 110 countries throughout North America, Europe and Asia, Kubota achieved revenues last year of over $16 billion. Although, agricultural equipment is Kubota’s primary line of products, Kubota also produces a diverse portfolio of other products including city wide water filtration systems, irrigation, piping, roofing, housing and large underground valves. Our mission, “For Earth, For Life,” speaks of our commitment to the preservation of the earth’s natural environment while aiding the production of food and water supplies that are vital to societal needs as our world population continues to grow. That mission is realized each time a Kubota tractor harvests the land to produce life sustaining food or our construction equipment excavates to transport water resources or provide shelter. For more information on Kubota, please visit www.kubota–global.net or www.kubota-eu.com.